An impressive blue water cruiser of a wonderful craftmanship and a warm and elegant interior joinery that makes her quite unique. She has many interesting extras. She is also ready to sail away. Since its establishment in 1961 and until mid 2018, Siltala Yachts was run by the same Finnish family, the Gustaffsons, producing motorsailers and blue water pilot house sailing yachts with "legendary seaworthiness, toughness, durable designs, easy handling and comfortable sailing, an unbeatable combination of performance both under sail and power". In the last period, the Company replaced its name with Nauticat Yachts, adopting the historical brand name of its range of boats. In 1996 it was introduced the 42 DS model, perhaps the most representative of the new range. Conceived for a couple of sailors, with occasional guests, the 42 DS offers plenty of room and a building quality out of reach for the average mass producing yards. Its hull, of heavy displacement, gives her safe and smooth sailing properties even in soft winds conditions thanks also to a sufficiently high aspect ratio rig, with a generously covering genoa. Below deck a very high craftmanship is appreciated in every detail. The twin dinette is very practical in a sailing life as it is the second helman's station with ample view outside. The galley is big and workable and the forward (guests) cabin ample enough and well thought out. It has a head en-suite. The owner's aft cabin is huge and the en-suite has a separate shower. 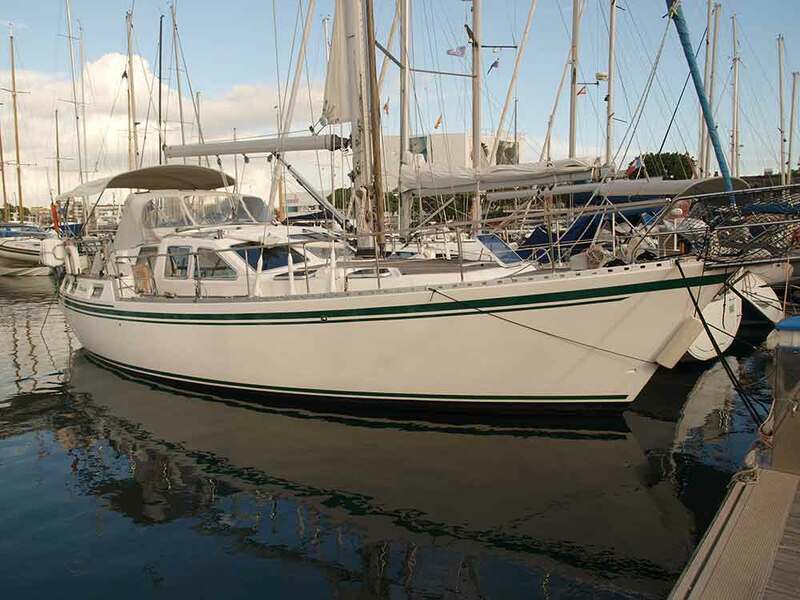 The engine room has plenty of space and in this unit is well fitted for blue water sailing. This vessel is in very good maintenance shape, full of recent equipment, renewed electronics and she is ready to sail away right now. She will be delivered with a comprehensive set of tools and spare parts and some equipment that at the moment is unfitted, non guaranteee, kept in Sweden as an air conditioning unit, a freezer, a water-maker, a Kyocera Sat-phone and an SSB radio receiver.